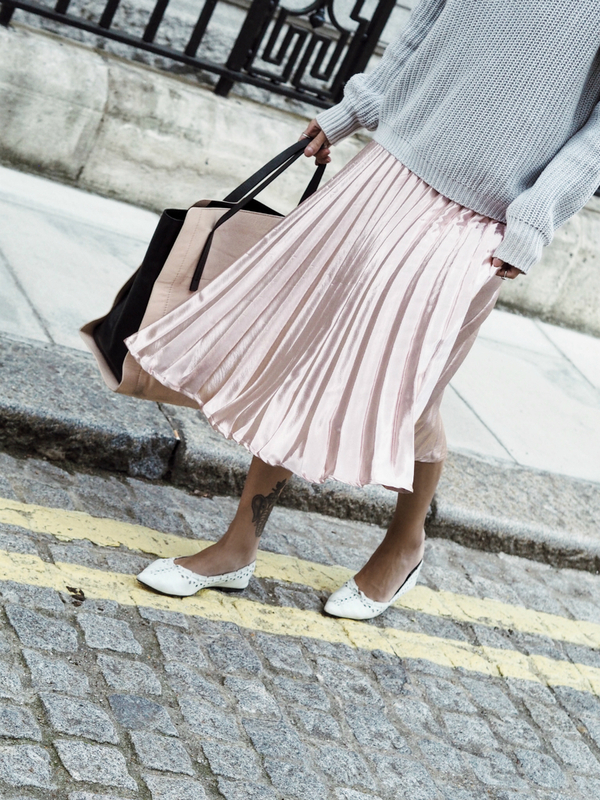 Today I bring you a two-in-one trend that ticks both the pleated midi skirt and metallic box, perfect for Autumn. The midi skirt is your ideal transitional piece for those days when you leave the house in low temperatures, going granny-chic with an oversized knit. For the sun to then show it's devious face around lunch time when you can strip off to reveal a more airy ensemble. 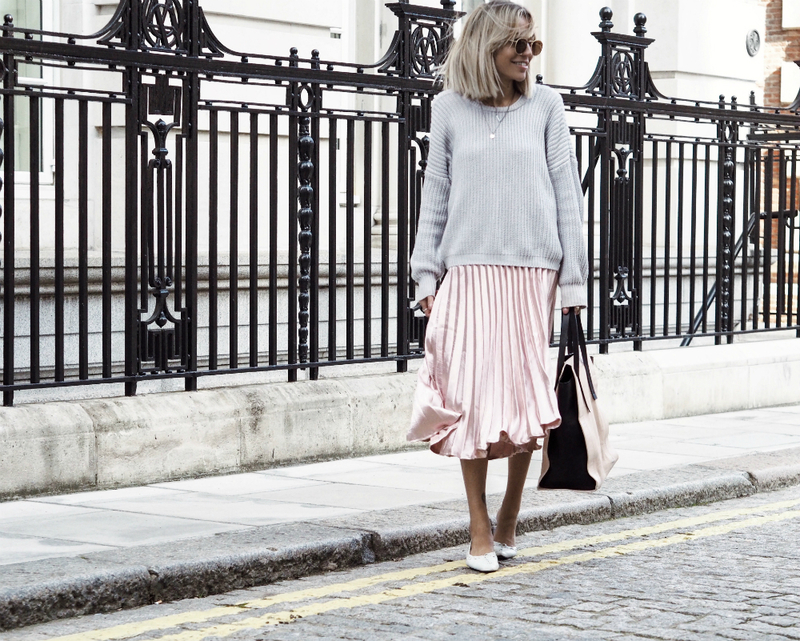 Pleats are the style being rocked by all the go-to's for inspo and when I came across this metallic (not to mention pink!) number on the Misspap website, it had to be mine! Metallic's are a major trend for AW16; go subtle with shoes and accessories or all out in a slinky metallic slip dress or skirt like I have that you can style from day to night. I love this look, you pull it off so well, I don't think I could make it work as well as you do.